One of the most widely used pain medications in the world, this treatment is known for its ability to target and combat pain quickly. Ibuprofen is most commonly used to treat moderate pain, inflammation and swelling. It is employed in situations where paracetamol is unlikely to be strong enough to provide adequate relief. These situations may be related to severe headaches, joint pain, back pain or injuries. As an NSAID (non-steroidal anti-inflammatory drug), this medicine works by targeting the area causing pain and reducing the activity of prostaglandins. These are substances not dissimilar to hormones, which the body can produce as a reaction to an illness or injury. They often cause inflammation and swelling. By reducing the effects of these, this treatment also reduces pain. 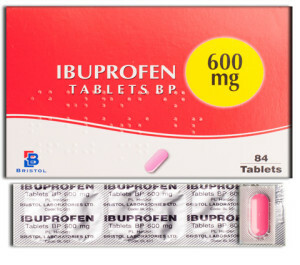 You can buy Ibuprofen in the UK over-the-counter in lower strength forms; however, the version available here is of a higher strength and does require prior consultation with a doctor. They will need to assess your risk of encountering side effects before issuing it to you. A doctor may choose not to issue this medicine to persons who are known to be allergic to any containing ingredients, or suffer from various medical conditions. The possible side effects associated with this medicine include, but are not limited to, indigestion, constipation, and gastro-intestinal bleeding. For a fuller account of possible side effects and restrictions, consult the leaflet included with the medicine. All orders are shipped using next day tracked courier, so you can follow the progress of your purchase. We ship same day on orders approved before 3pm. You can count on us to handle your order with privacy and discretion. All items are shipped in plain, unmarked packaging. You should only ever buy pain medication online from a source you know to be trustworthy. When you place an order with us, your suitability for this medicine will be assessed by one of our doctors, who will present you with a medical questionnaire. If they approve the treatment, an electronic prescription will be generated for you and sent to our dispensing pharmacy, which is based in the UK.